So we are excited to roll out the first of several updates that are going to be coming out for Scribble Maps in the coming months. The first is we have introduced something called VIP membership. VIP offers several benefits. VIP Members will not see any ads on either of the editors (pro.scribblemaps.com and scribblemaps.com/create/). We have quite a few publishers who create a lot of different widgets and it is not very cost effective for them to pay $5 a widget. So with VIP membership every widget published under a VIP account will not have ads as long as the VIP membership is valid. If you currently have a pro account, this will work retroactively on any published widgets you currently have out there. If you have paid for widget ad removals independently, don't worry, they won't suddenly get ads. That system is still in place and you are not required to get a VIP membership. If you don't want to get a VIP membership and just want to remove ads on a single widget, you can still do that by clicking the remove ads link on the widget itself. VIP will have additional benefits added to it going forward as we roll out our API and other Scribble Maps programs. If you sign up now, we will never raise rates on already existing VIP members in the future. In addition to the VIP membership, we have also added a couple of beneficial UI elements to ScribbleMaps.com. First you will notice at the bottom of screen there is now a bar for logging in, as pictured below. 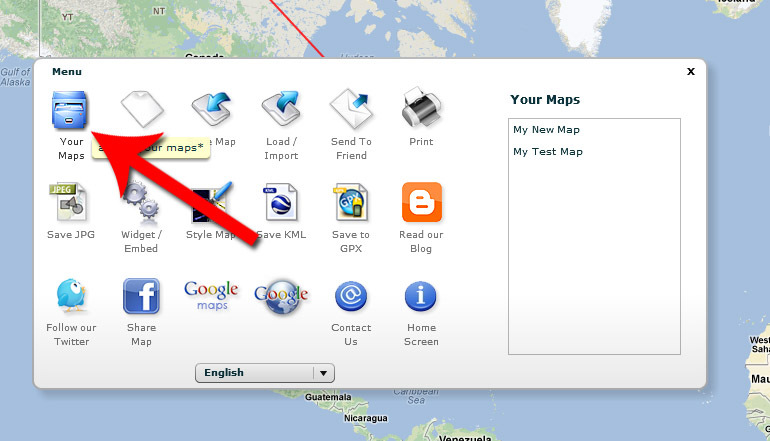 Once you login you can now access your maps saved on your account by accessing "Your Maps" under the menu. Keep in mind that if you have already created a pro account, your pro maps will show up here as well and you can also log in using it. A pro account is now just a Scribble Maps account. Anonymous map saving and sharing which we know a lot of you love still works the exact same but now you also have the option to easily save maps to your account and reload them later.